The North East’s finest young poets take to the pitch in a poetical playoff to turn perceptions of poetry upside-down. Ten teams compete for a chance to represent their region at the National WORDCUP2010 Final. Coaches from across the country show their teams how it’s done in this lyrical friendly, showcasing the best in UK performance poetry. 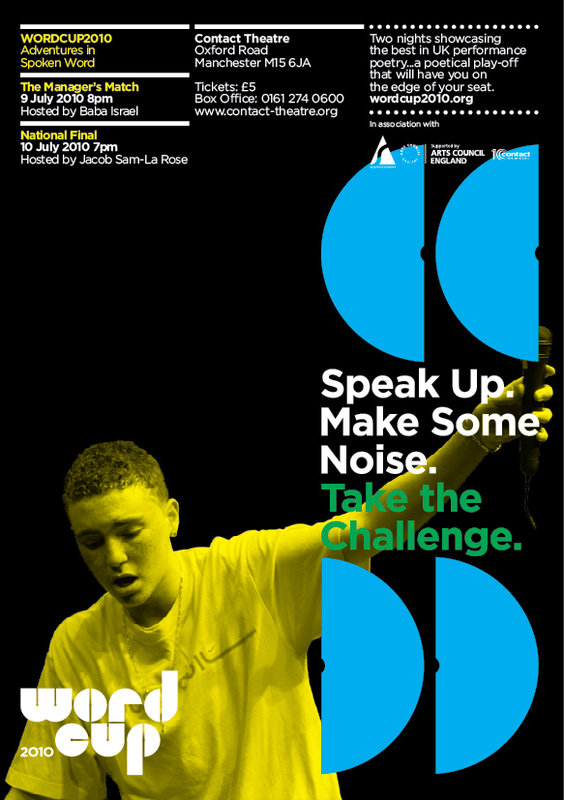 Featuring guest slots from Young Identity, Leeds Young Authors, SLAMbassadors and the London Teenage Poetry SLAM. England’s finest young premiership poets go head to head in a poetical play-off that will have you on the edge of your seat. Nine regions, nine teams, one cup. A celebration of spoken word.